Many times we chose the path of least resistance in our lives. We go for options that we already know, which provide us a feeling of safety and routine. This makes us comfortable. We feel like being in a position of control. Then, at some tipping point, the realization sets in. For many this is when they are old and reflect back on their lives. Suddenly they realize all the missed opportunities and are filled with regret. 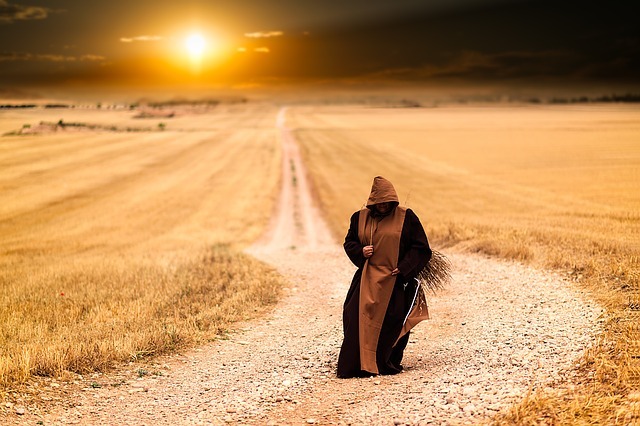 Do we want to look back at our lives in regret? We can make the most of it, living a happy, meaningful and fulfilling life, by taking the path of fear. 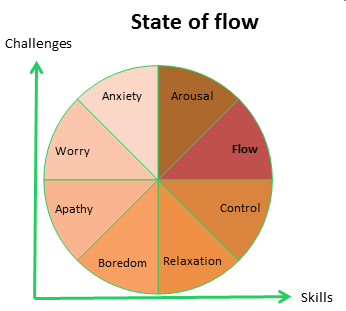 In his TED Talk Mihaly Csikszentmihalyi explains the state of flow, which is reached when there is an optimal balance between own skills and experienced challenges. If things are in control it means that our challenges are too low. In other words, we are not using your full potential. Reaching the state of flow can happen by increasing the challenges we have to face. As Csikszentmihalyi points out, we can learn the most if we are in a state of arousal, where our challenges slightly exceed our skills. By increasing our skills we can reach a state of flow again. It is further highlighted that all the other states become less appealing. However, most of us tend to be in such a state as for example boredom or apathy. We are in these states if we for example sit in front of the TV and our minds are not challenged. We can’t expect different results if we choose the same approach every single time. If we want something else than we have right now, we need to take another approach. We need to take the uncomfortable option; choosing the path of fear. We have to go the hard way, the path less traveled. This is where we will learn the most, because our challenges increase and our skills develop. With every step we take on the path of fear we will get closer to fulfilling our own potential. There we will personally grow and develop ourselves. We need to listen honestly to our inner voice, may it be your gut feeling or your heart. Our unconsciousness knows what will be the right thing to do, even if it seems daunting at first. Once we start taking the path of fear it is important to continue. We need to be honest to ourselves and get to the core of what is limiting us, keeping us away from using our full potential. Many times we are trying to fight symptoms instead of curing the real problem. These are quick fixes, however, which will not help us in the long run. We are lying to ourselves and have to deal with the same symptoms again after some time. Following through to the core problem is terrifying. There will be suffering, but as Frankl said, once the suffering is over, there is nothing to fear anymore. And is it not better dealing with the pain once instead of continuously suffering from it? The reward of having looked our fears into the eyes is indescribably freeing. It gives us more energy than anything and boosts our self-esteem. After all, if we look back at the path we have taken, we will find that it was not that as scary as imagined. We should not take others opinions for granted; not accept them as facts. Taking the status quo for granted will not push our boundaries as an individual or as society. Instead of simply repeating what others are saying or media headlines are stating, we need to inform ourselves from diverse sources. We need to form our own opinions. For example, the best way to reduce stereotypes is to test if that prejudice really is true. Most often we simply assume, because we do not know better. But by engaging with for example other people, we often find that the stereotype we had about them is not validated. The only way to find peace of mind is to honestly stating what is bothering us. We have the obligation to speak the truth; otherwise no one can understand our suffering, disappointment or disapproval. Keep in mind that we are doing the people around us a favor. We are helping them to better understand our situation. Most of all, we are doing ourselves a favor, because we are not suppressing or holding back a thought. Holding it back will over time lead to anger and frustration and will then result in an emotional outburst. This will come surprisingly to our environment, since there were no previous signs, and it will most likely be inappropriate and to harsh, so that we will regret it later on. Remember that others cannot be hurt, if we simply state why we do not like to be in a certain situation. We need to stand up for what we believe to be worth fighting for. If we are not doing it ourselves, nobody will do it for us. We will just go with the mainstream. Although we are afraid to stand out of the crowd, this is where our individual life begins. We should not be afraid of showing our full identity, with all its vulnerability. There is only one of each of us. We are unique and we should not hide our whole selves from anyone. We are enough, as Brené Brown states in her TED Talk about vulnerability. In order to reach our dreams we need to take action. And every step will be one out of our comfort zone. With taking action ourselves and the freedom to choose doing whatever seems appropriate to us comes also responsibility. When we take our life in our own hands, we are also responsible for what the result will look like. Again the path of fear does not allow us to blame someone else for our own actions. We need to be aware of the consequences of our decisions; how we treat others. We need to fight, but we need to choose our fights wisely. There will be setbacks and they are part of the journey. The important thing is to step up and owning the situation by recognizing what went wrong, learn from it, show others our integrity by being responsible for our mistakes and move on. Are you ready to follow the path of fear? When did you choose to do something you were afraid of? Measure your comfort zone and do what scares you.